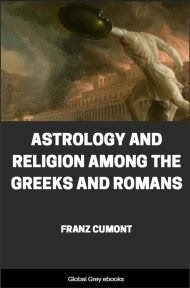 This book contains the description of creation, the fall of man, the deluge, the tower of Babel, Babylonian fables and legends of the Gods. 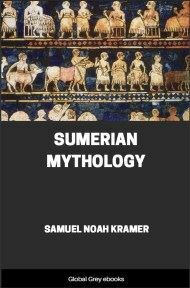 It also has chapters on Babylonian and Assyrian literature, general mythology, the Izdubar legends, the adventures of Ishtar and fragments of miscellaneous texts. 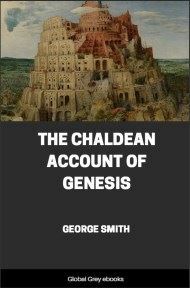 THE fragments of the Chaldean historian, Berosus, preserved in the works of various later writers, have shown that the Babylonians were acquainted with traditions referring to the Creation, the period before the Flood, the Deluge, and other matters forming parts of Genesis. Berosus, however, who recorded these events, lived in the time of Alexander the Great and his successors, somewhere about B.C. 330 to 260; and, as this was three hundred years after the Jews were carried captive to Babylon, his works did not prove that these traditions were in Babylonia before the Jewish captivity, and could not afford testimony in favour of the great antiquity of these legends. On the discovery and decipherment of the cuneiform inscriptions, Oriental scholars hoped that copies of the Babylonian histories and traditions would one day be discovered, and we should thus gain earlier and more satisfactory evidence as to these primitive histories. In the mound of Kouyunjik, opposite the town of Mosul, Mr. Layard discovered part of the Royal Assyrian library, and further collections, also forming parts of this library, have been subsequently found by Mr. H. Rassam, Mr. Loftus, and myself. Sir Henry Rawlinson, who made the preliminary examination of Mr. Layard's treasures, and who was the first to recognize their value, estimated the number of these fragments of inscriptions at over twenty thousand. The attention of decipherers was in the first instance drawn to the later historical inscriptions, particularly to those of the Assyrian kings contemporary with the Hebrew monarchy; and in this section of inscriptions a very large number of texts of great importance rewarded the toil of Assyrian scholars. Inscriptions of Tiglath Pileser, Shalmaneser, Sargon, Sennacherib, Esarhaddon, Nebuchadnezzar, Nabonidus, and numerous other ancient sovereigns, bearing directly on the Bible, and giving new light upon parts of ancient history before obscure, for a long time occupied almost exclusively the attention of students, and overshadowed any work in other divisions of Assyrian literature. Although it was known that Assyria borrowed its civilization and written characters from Babylonia, yet, as the Assyrian nation was mostly hostile to the southern and older kingdom, it could not be guessed beforehand that the peculiar national traditions of Babylonia would be transported to Assyria. 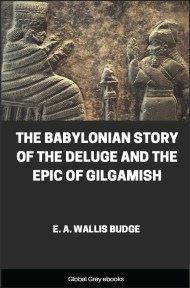 Under these circumstances, for some years after the cuneiform inscriptions were first deciphered, nothing was looked for or discovered bearing upon the events of Genesis; but, as new texts were brought into notice, it became evident that the Assyrians copied their literature largely from Babylonian sources, and it appeared likely that search among the fragments of Assyrian inscriptions would yield traces at least of some of these ancient Babylonian legends. 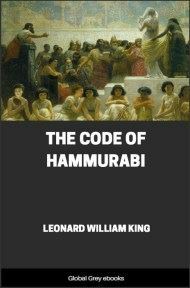 Attention was early drawn to these points by Sir Henry Rawlinson, who pointed out several coincidences between the geography of Babylonia and the account of Eden in Genesis, arid suggested the great probability that the accounts in Genesis had a Babylonian origin. When at work preparing the fourth volume of Cuneiform Inscriptions, I noticed references to the Creation in a tablet numbered K 63 in the Museum collection, and allusions in other tablets to similar legends; I therefore set about searching through the collection, which I had previously selected under the head of "Mythological tablets," to find, if possible, some of these legends. This mythological collection was one of six divisions into which I had parted the Museum collection of cuneiform inscriptions for convenience of working. By placing all the tablets and fragments of the same class together, I had been able to complete several texts, to easily find any subject required, and at any time to get a general idea of the contents of the collection. 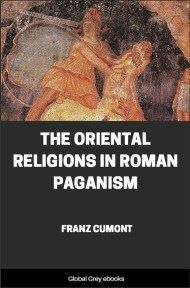 The mythological division contained all tablets relating to the mythology, and all the legends in which the gods took a leading part, together with prayers and similar subjects. Commencing a steady search among these fragments, I soon found half of a curious tablet which had evidently contained originally six columns of text; two of these (the third and fourth) were still nearly perfect; two others (the second and fifth) were imperfect, about half remaining, while the remaining columns (the first and sixth) were entirely lost. On looking down the third column, my eye caught the statement that the ship rested on the mountains of Nizir, followed by the account of the sending forth of the dove, and its finding no resting-place and returning. 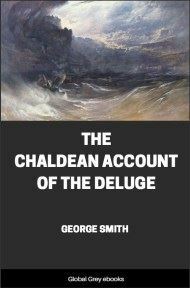 I saw at once that I had here discovered a portion at least of the Chaldean account of the Deluge. I then proceeded to read through the document, and found it was in the form of a speech from the hero of the Deluge to a person whose name appeared to be Izdubar. I recollected a legend belonging to the same hero Izdubar K. 231, which, on comparison, proved to belong to the same series, and then I commenced a search for any missing portions of the tablets.